James Max is a broadcaster, columnist and business expert. He presents Early Breakfast every weekday on TalkRADIO between 5 – 6.30am. Writes a regular column “Rich People’s Problems” for FT Money and undertakes advisory work with a range of companies. He’s also a Council Member and Trustee of the Royal Albert Hall. For seven and a half years, James presented shows on LBC Radio.Latterly presenting Weekend Breakfast where he developed and grew the audience to the highest recorded levels in recent years. Away from the media spotlight, James is a Senior Advisory Director for Business Development at BNP Paribas Real Estate, a Council Member and Trustee of the Hall of Arts and Sciences, better known as the Royal Albert Hall and has been advising Stanhope on their redevelopment of the former Television Centre in West London. A qualified chartered surveyor, James was a director of the property advisory company, DTZ before joining Morgan Stanley’s Investment Banking Division and subsequently becoming a partner and Principal of Doughty Hanson & Co, a leading European private equity house. He has a range of transactional experience having acquired many notable assets for international investors, worked on complex financial debt and equity deals and acted as a principal in the UK, across Europe and the US. He first came to public prominence as a semi-finalist in the first series of the BBC’s The Apprentice. 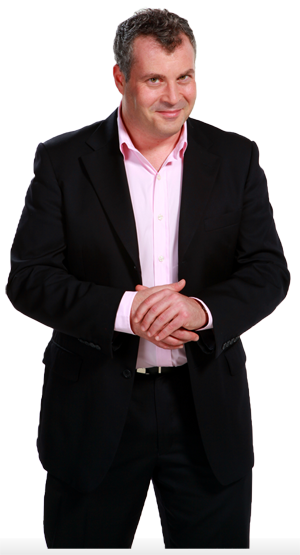 Over the years, he has appeared on many television and radio programmes as an expert and a presenter. Working for Overseas Property TV, he presented his own series, has fronted an episode of Dispatches for Channel 4 and has a recognisable voice for voiceover and audio work. James has considerable experience presenting and hosting corporate events, conferences and company workshops. He has fronted events for The Mayor of London, Shell, Olswang, Nabarro, J P Morgan, DTZ, ARMA, Stanhope PLC, BNP Paribas Real Estate and many trade associations. Always with flair and personality, he’s an affable, entertaining and knowledgeable host with an expertise in business, finance and property whilst maintaining a strong grasp of current affairs. James writes monthly columns for The Negotiator Magazine and also for London Loves Business, a website devoted to business matters, discussion and opinion. James loves music, travel, art, skiing, wine, his family and tennis. He has a passion for Aston Martins whilst pretending to care about the environment with his GWiz electric motor vehicle. He lives in west London with his dog, Barnaby and avoids worrying about the fact that he’s in his 40s.